Requests for recounting in NA-129 Lahore-V, NA-131 Lahore-VII and NA-108 Faisalabad-VIII have been accepted by the returning officers of the respective constituencies. The requests were submitted by the losing candidates in the constituencies — Pakistan Tehreek-i-Insaf's (PTI) Abdul Aleem Khan (NA-129) and PML-N's Saad Rafique (NA-131) and Abid Sher Ali (NA-108). Khan had lost to PML-N's Ayaz Sadiq by around 8,000 votes, according to the preliminary results. Rafique and Ali had lost to Imran Khan and Farrukh Habib (both PTI candidates) with very thin margins (under 1,500). 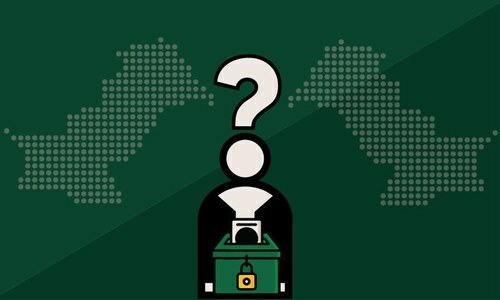 Calling into question the vote-count process, major political parties including the PPP and the PML-N have claimed that the elections were 'rigged' to favour the PTI. Their claims rely heavily on the non-provision or late provision of Form 45, which contains the vote count of a polling station, to polling agents of political parties. Some parties have also claimed their polling agents were not allowed to sit inside some polling stations during the counting process. The parties had earlied called an 'all parties conference', which was scheduled for today. However, it appears that the conference may not happen as the PPP and Muttahida Qaumi Movement-Pakistan (MQM-P) have backed out from attending, leaving the Muttahida Majlis-i-Amal (MMA), the PML-N and Awami National Party (ANP) behind. Meanwhile, the Election Commission of Pakistan (ECP) has denied all claims of rigging, claiming that Form 45s were provided to agents of all political parties. It has asked that political parties to approach the commission with formal complaints, which it has assured will be addressed. The ECP has attributed the delay in announcement of results to a technical fault in Result Transmission System (RTS) — a software used to relay results from presiding officer to the ECP. The RTS crashed on the evening soon after the results were being transmitted, resulting in inordinate delays in the counting process. Additional reporting by Kashif Hussain. PTI won, now live with the change Pakistan Zindabad! Times are changing and in these changing times no one will have to struggle for obtaining justice as it happened in the past. All legitimate grievances with pertinent evidence will be investigated as stated by IK. Now the national interests will take precedence over party political interests. 48 hours. A software crash cannot do that. Iman must walk his talk by opening the corruption cases of his party workers, starting from people like Aleem Khan. Up until now, the only thing Sad Rafique has been counting is the ill-gotten money. The ECP put fine on claimants if rigging not proved or at least they pay from their pocket for all the cost that will occur in recounting votes and other expenses. Also if rigging proved, then there has to be a punishment to those who envoled in rigging. Fair game. Let them re-count the votes in those precincts with thin margin between winner and runner-up tally of secured ballots because it's part and parcel of the principles, norms, values and practices of true democracies all over the world. The time tested saying goes : As you sow so shall you reap. 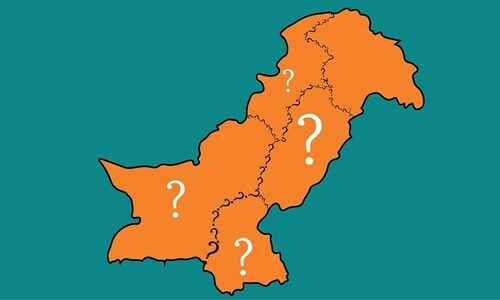 PPP and PML-N had TEN years to computerize and make the voting system easily verifiable and less prone to manipulation.....but they kept the old archaic system.....why ? Because it had worked for them in the past and now this time when it has not favored them, they cry foul. This whining will continue for months to come. @Jawad I guess you are a non-IT person. I am a software developer and tester located in USA. Sometimes a minor glitch can hang my system, which only services 3000 users, for hours. The ECP servers were not tested for such volume of transactions. It simply crashed. It happens in the IT world. MQM-P have backed out from attending because they know what they will do that they have always done. A narrow margin is a valid reason. But first to challenge s difference of 8000 votes and then to accept it, smells of rigging especially if the result is reversed in NA 129. Whether elections rigged or not, but the lame excuse of RTS software failure is a shame. Those work on corporates and have some sense of how these mega projects are manages professionally will not buy this stupid excuse of RTS failure. @Seedh A. Sharif Time to tame the corrupt has come! @Farjad Zaidi - YES so ture: jail the leader who was the major threat to a selected political party - and his daughter too because she ran a successful by-election campaign. And now the turncoats are being brought to Islamabad in private jets! Long live the change!! !